NEVER in all the world, could I have imagined this, NEVER! How on earth could the title of my book City Quilts be listed in a google alert for the freaking WALL STREET JOURNAL??? Had I lost my mind, had I lost the ability to read, was my mind creating willy nilly sentences out of thin air? How could this be? I believe; I almost hyperventilated! I know there are other books listed besides mine, so maybe there are more women falling out of chairs, and hyperventilating around the country, I have no idea. I just know that MY BOOK was referenced in the Wall Street Journal, and I am still dumbfounded! Can I just tell you something about my book? It was a labor of love, and something I was actually compelled to do. Besides the quilting part; I had no idea what I was doing, I had no idea how to do it, I had no idea how it would be received, if it would be purchased, or cherished by anyone. It's been out for almost a year now; lots of you like it, some of you love it, there are some folks who don't like it all - their biggest annoyance is that there are no prints in the book...hello...it's a books about solids, but whatever floats your boat, right? I love all of you...even the ones who aren't crazy about solids! Thanks a million for sending your beautiful baby quilts to the Baltimore Head Start program...they still need more, if you are able to share. I'm sending 2 this week! 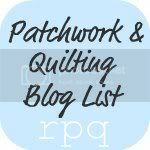 A quilt batting giveaway...could you ask for more? Okay, how about 12 crib size quilt batts...even better right? I'm here to shout from the roof tops how much I LOVE HOBBS FUSIBLE BATTING!!! There are many reasons to love it, and many reasons I use it, but I want you to use it to, I want to you bug the heck out of your LQS, and say "give us the fusible!!!" It works...I swear to you, it works! If I quilt it, I use it! All of the quilts from City Quilts that I quilted use Hobbs Fusible! I believe so much in Hobbs products that I emailed them, and said I wanted to share the fusible love, and how about giving away some batting...kind folks that they are said 'you bet!'. Heirloom® Fusible is an iron on batting which is fusible on both sides. Our Fusible 80/20 is made the same way as our Premium 80/20, except we use a fusible resin in the spray bonding process. This resin eliminates the need for pinning or basting, saving quilters’ time and effort. Simply press your quilt from the center to the outer edges. Make sure you keep your iron moving, pressing approximately 3-4 seconds in each area. Once you have covered the entire surface area of your quilt, allow the quilt to cool. You may then begin quilting by hand or machine. Shrinkage of 3-5% and may be quilted up to 4” apart. Something else that I love...it's made in Texas! There is even a brand now for made in Texas, check it out. Lots of where to purchase questions...I know this product is available @ Hobby Lobby Stores; otherwise your best bet is to google Hobbs Fusible Batting. I did see many online quilt stores that sold the product, if all else fails, have it shipped to you! Now, I'm not being unkind...but I've about some other brands of fusible batting, and what I heard was less than positive. I've never tried the other brands myself, this is the only brand I swear by. Any other questions? If so, leave them in the comments, and I'll answer you here. So here's the contest...leave me a nice comment, and on 3/31/11 I'll pick 12 lucky winners, forward your names to Hobbs who will ship you a lovely crib size roll of fusible batting...pretty sweet, right! Be sure and check back to see if you've won! City Quilts is a finalist for the 2010 Book of the Year Awards in the Crafts/Hobbies category. ForeWord Reviews' Book of the Year Awards program was established to help publishers shine an additional spotlight on their best titles and bring increased attention to librarians and booksellers of the literary and graphic achievements of independent publishers and their authors. Award winners are chosen from real librarians and booksellers, who are on the front lines everyday working with patrons and customers. Since 1998, ForeWord Reviews has been one of the publishing industry’s most respected print magazine and online review service for readers, booksellers, book buyers, publishing insiders, and librarians. ForeWord is published six times a year and each issue reaches an audience of 26,000 librarians and booksellers. As a review service for small and independent publishers, ForeWord influences the buying decisions of booksellers and librarians across the United States and Canada. In addition to the magazine, ForeWord’s website receives nearly 10,000 unique visitors a month. ForeWord Reviews employs professional freelance reviewers from all over the United States and Canada. Wow! Isn't this so exciting! Thanks to everyone for loving and supporting City Quilts! Recognize City Lights? I was commissioned to create a City Lights quilt for a corporate office, what an honor! During the process of creating this quilt, I fell in love with City Lights all over again. What I love the best are the cool, pale pastels against the very stark black, yet warmed by the occasional yellow and peach "lights". During quilt market I had the privilege of having my other daughter Julie (I claim her, but I'm just her quilty Mom) stay the night. On the day that I brought her back to Houston, we were driving into downtown in the early morning, the buildings were all lit up, and I said, "see, there's City Lights, that's my quilt". For me it was a really special moment, to be able to share the inspiration for my quilt, to share what inspires me, and what I love! Working solitary the way I do, having someone else see my vision, having someone "get it" is validating. Something else that is a dream come true are your comments and emails about seeing things in your own hometown with fresh eyes. About being inspired by the everyday, the common, dare I say it mundane. You are creating your own city quilts in your own cities; I love it! This past week I was invited to speak to the wonderful Kansas City Modern Quilt Guild members, and to teach a workshop at Harper's Fabrics. I have to say that it could not have gone better! Everyone was kind, warm, and welcoming - it was a dream come true! What was I so nervous about? We all come to the table with a love of quilting, a love of fabric, a love of sewing, and it seems; a love for others. My topic for speaking to the MQG was me; my story, my journey, the path from the beginning to now. I thought I would share I few things that I shared that night, some things that have shaped my life, the lives of my children; and unbeknownst to anyone - the lives of those that I teach to quilt. I know these things are very personal, and I hesitate to share them; but maybe in sharing them someone else could find some hope. For too many years I was in an abusive marriage, when it finally ended I was very grateful, but completely numb. For one whole year I couldn't sew, couldn't touch my sewing machine, I couldn't buy fabric (horror of horrors), I couldn't do anything. I would look at my sewing machine longingly, and wish that I could sew, but I couldn't. Miraculously I started to get better, my healing began by sorting and petting fabric (only a quilter will appreciate this, I think), then I began to sew about a million string pieced blocks - mindless sewing was all I was capable of at that point. Next I began to sew the blocks together - not for any purpose, I just wanted to see them all together. After several months, I began to start making quilts out of all of those blocks...the healing was well underway. To a degree, quilting saved my life. That was in 2004, 6 years later I have a quilt business, a book, and all of you! Quilting has the power to heal, the power to build confidence, the power to rebuild a life, and the power to bind people together. I am so grateful for quilting! My passion for teaching quilting is this: if someone believed they were not capable of creating something of beauty, and a teacher showed them that they could; their perception about them self would change, because something they once believed true, was proven not true. How could that affect other areas of their life? It is a ripple in the water occurrence, one change in perception about one self, changes everything else. That is the Gospel of Quilting! That is why I teach, and that is why I share my love of quilting with anyone that will listen. Thank you for allowing me to share this with you, and thank you for your kind comments & encouragement! Thank you Jacquie & KCMQG, and thank you Elaine and everyone at Harper's! The blocks are all made, and the house blocks are all coming together! I'm loving this quilt, and I can't wait to share it in all its glory. In the way of news, four more patterns have been added to our electronic downloads store, and more will be added in the next few days! Any requests? Let me know, I'll get them added right away. Also, you may recall that we are retiring some of our earlier patterns, but we will keep them available in our downloadable patterns. 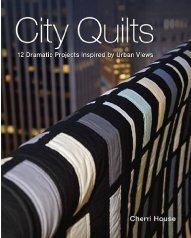 Just a few more days on our BUY A COPY OF CITY QUILTS, AND GET A PATTERN FREE SALE. Any pattern we have available for free, plus a signed copy of City Quilts. Sweet action deal! Pop over to our Pattern Store, order your book, and in the special instruction state the pattern that you would like for free. I'm off to watch a little reality tv (guilty vice), and then time to sew a few more houses together. Thing 1 & Thing 2 (and 3) Pattern Retirement Sale! 90 houses built, a bunch more to go! Is anyone making houses with me? Send photos! Thing 2: We are now selling patterns electronically - awesome news for our international customers, and the instant gratification folks! Instant downloads - how cool is that? 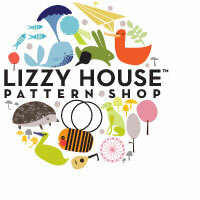 Click here, or click ELECTRONIC DOWNLOAD above our pattern store button. Currently we have 3 patterns listed, but we are adding more all the time. Thing 3: One more week for the BUY A COPY OF CITY QUILTS, AND GET A PATTERN FOR FREE SALE. The sale ends on 9/17/10...don't miss it! Is it fall where you are? I love the fall, it's my favorite time of year, and my birthday is in there somewhere too! Sadly, fall will not arrive in Houston for a some time. Fall to me is serious get ready for market/quilting time...what's not to love? Have a great weekend sweet friends, I'm off to sew more houses, do some quilty math, watch some part of the Jason Bourne trilogy - 1, 2, or 3 (can't pick a favorite), and work on a few top secret projects! Who loves quilt kits? Nice, neat packages that contain THE EXACT fabric that you need to make a pattern? I know for some quilters that it is a dream come true! Well, if you've ever dreamed about wanting to make a Cherry House Quilt from a kit with all the exact colors specified, today's your lucky day! Jackie at Canton Village Quilt Works is my new go to girl for CHQ kits. She currently has City Scapes, The Tempest, and is working on Foreign Currency, and City Park. She also has plans to create kits for quilts from City Quilts! Go check out the prices too...it couldn't be more reasonable, be sure and tell her Cherri sent you. Blog Tour 2010 & my best guys! After 13 days of zipping back and forth across the country blog tour 2010 is done! A few of the contests are still open, so hurry and enter if you haven't had a chance yet. We had 1000's of entries from all over the world! Thank you so much for taking the time to read the interviews, and hopping from blog to blog. I read each and every entry, and I was so touched by your kind words! A special thanks also to the tour hosts (aren't they great! ), and to C&T Publishing for copies of City Quilts, and to Robert Kaufman for all of that incredible fabric. I am so excited for all of the prize winners, lucky lucky you! It seems that many of you are now seeing what's possible with solids for the first time, and that is awesome! I still remain astounded by reports that fabric store employees are discouraging about quilts made out of strictly solid fabrics...what is the deal with that? I can see it not being someone's preference, but to actually discourage someone??? On a personal note, my sweet precious son is home from Iraq for his two week break. I was so happy to be able to go and see his family this past Sunday. While there I delivered some Castle Peeps goodness in the form a quilt, and some Castle Peeps beanbags. Here's a peek at my two little grandsons...Alton and Benjamin. Alton was kind enough to invite me on a walk with him, and his "dog"...what a doll! What's next for me? A new Moda Bake Shop project in the works...a HST trick you are going to flip for, new patterns using my fav solids & some Kaffe, plus lots more.